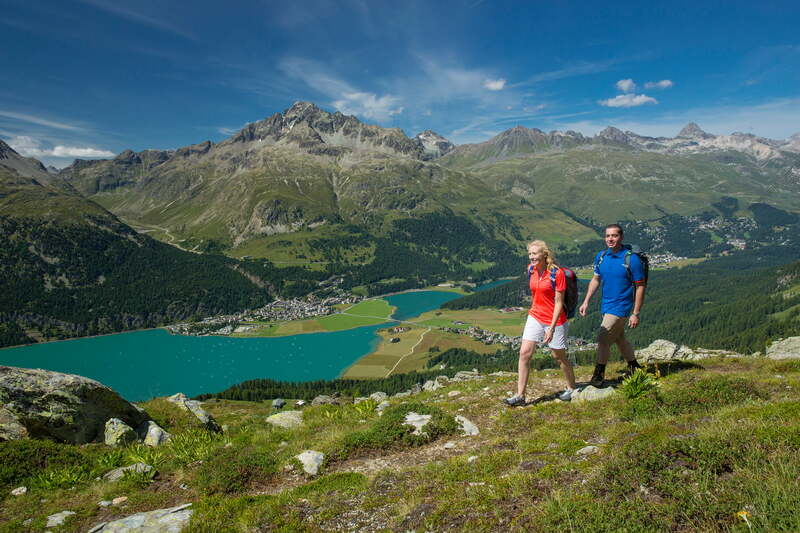 Among the countless paths that make Engadin St. Moritz a paradise for hikers are the many varied theme trails. These offer fascinating insights into local history, traditional customs and the way of life in the Engadin – as well as the unspoilt natural landscapes, wildlife, and themes such as renewable energy, among many others. Numerous walks give parents a wonderful opportunity to encourage children to learn in a fun-filled way. On the trail of climate change. Experience the fascination of our special theme trails in Engadin St. Moritz. Where Edelweiss is at home. Interactive hiking map with route descriptions.